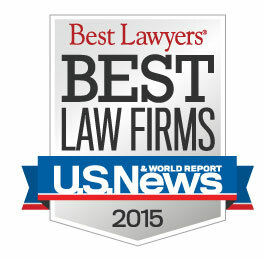 The law firm of Glassman, Wyatt, Tuttle & Cox, P.C., which primarily handles civil litigation in courts around the Mid South (including Tennessee, Mississippi and Arkansas), has been named by U.S. News and World Reports as a First Tier member of the Best Law Firms in the State of Tennessee. Law firm rankings are based on a rigorous evaluation process that includes the collection of client and lawyer evaluations, peer review from leading attorneys in their field, and review of additional information provided by law firms as part of the formal submission process. The Firm has a broad practice in numerous practice areas, including but not limited to Legal Malpractice, Medical Malpractice, Insurance Coverage, Construction Litigation, Concrete Law, Transportation Litigation, Commercial Litigation. Please contact the firm today for more information at (901) 527-4673.